RecFish SA is the recognised peak body for recreational fishing in South Australia. It is our role to advise government on recreational fishing issues and to advocate on behalf of the 277,000 South Australians who enjoy fishing each year. We also manage reservoir fishing in SA and undertake a range of projects like fish stocking and fishing clinics, to benefit recreational fishers. RecFish SA’s membership is made up of individuals and organisations, including fishing clubs and associations, regional Recreational Fisheries Committees, coastal progress associations, and recreational fishing related businesses. You can become a member for free! We routinely consult with the recreational fishing community on a range of issues, through surveys and “Have Your Say” campaigns. If you love fishing be sure to check out our low cost and free membership options so that you get the latest news and opportunities to provide feedback. You can also follow us on Facebook, Instagram and Twitter. 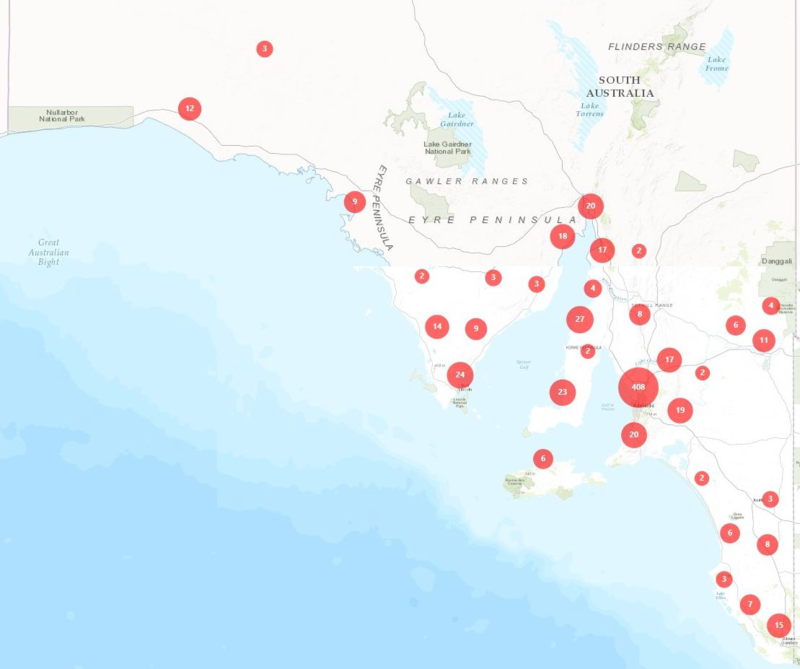 RecFish SA has an extensive network, with thousands of recreational fishers right around South Australia. We are an open and inclusive organization, so get in touch or join for free to find out how you can participate and stay up with the latest fishing news. In addition to our advisory and advocacy roles, RecFish SA undertakes a range of projects and activities all of which benefit recreational fishing in South Australia. RecFish SA have long fought for reservoir fishing in SA. We have now secured a committment from the SA Government to open up to 5 reservoirs for recreational fishing. We have already stocked thousands of Murray cod, Golden perch, Silver perch into two dams. These are the Warren Reservoir and The Bundaleer Reservoir which we have also stocked with Rainbow Trout. Stocking has been funded through the SA Recreational Fishing Grants Programme. RecFish SA manages the reservoir stocking programme and permits. Click here for more info.. In addition to stocking Reservoirs, RecFish SA have long been actively involved in moves to stock Murray Cod into the SA section of the River Murray. In 2016 the SA Government committed to and funded the first stocking. RecFish SA and our Club volunteers were charged with releasing the fish at Swan Reach and Kingston on Murray. RecFish SA has in-house fisheries management and bio-security expertise. We are able to offer fish stocking services and are currently contracted by the Renmark Paringa Council to stock more Murray Cod in 2017. Funds for this project are from the SA Recreational Fishing Grant Programme. Fishing is a fun, healthy, family friendly activity that is hard to beat! So we are thrilled to be able to partner with like-minded organizations to offer fishing clinics. RecFish SA supply experienced fishing tutors to help aspiring fishers of all ages, learn how to rig up, bait hooks, cast and catch fish. We are pleased to have put many South Aussies onto their first fish. Over the past 2 years we have been working with NaturePlay SA and Edmund Rice Camps to provide fishing clinics in Adelaide and on the Fleurieu peninsula. Contact us to find out more. A quality environment means quality fish, this is because fish rely on their habitat to provide essential resources and conditions. RecFish SA believes that fishers need to play an active role in protecting and enhancing fish habitat. We have partnered with OzFish Unlimited to improve the capacity of SA fishers tacking fish habitat issues. Through our partnership with OzFish Unlimited, and their FRDC funded project, RecFish SA are able to employ an in-house Fish Habitat Officer. Dr Travis Howson runs workshops, on-ground works and education clinics with SA recreational fishers. Our recent projects include building and installing new fish habitat in Westlakes (in partnership with the City of Charles Sturt), on ground works at at the Onkaparinga river, and the 2016 SA Fishers For Fish Habitat forum. Find out more..
RecFish SA are committed to sustainable fishing. We fully recognise that there are things that fishers can do today, which will ensure a vibrant fishing future; supported by the broader community. As fishing community leaders in SA, we have worked hard to support and develop best practice fishing communications. Our work in this area includes, collaborating with interstate and national counterparts to develop a National Code of Practice for Recreational Fishing and widely sharing the Code of Practice for Southern Bluefin Tuna. We have also developed our own series of videos to help raise community awareness and educate about best practice fishing. The topics covered include; Using Circle Hooks, Using Release Weights, Ike-jime Fish Dispatch and the Southern Bluefin Tuna Code of Practice. Click here to watch the videos.. The South Australian Recreational Fishing Grants Programme has already proved to be a huge success. Having funded many projects from fish stocking, jetty shelters, fish cleaning tables and breakwall upgrades, to kids fishing clinics and family fun days. 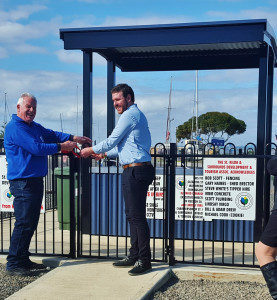 New projects, designed and backed by local communities to benefit recreational fishers, are popping up right around the state. RecFish SA are contracted to have an active role in assisting potential grant applicants with their project ideas and applications. We specifically encourage projects that align with the objectives of the South Australian Recreational Fishing Strategic Plan, and have provided letters of support for project ideas that really hit the mark. 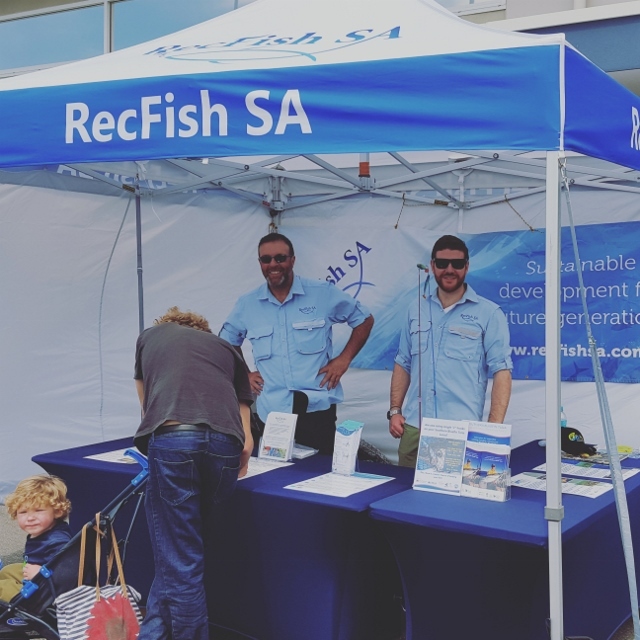 RecFish SA takes seriously our commitment to ensuring that the project ideas of grassroots recreational fishers, are connected with potential applicants, especially local councils. RecFish SA are once again on hand to provide assistance for the SARFGP Round 3 in 2017.